You can tell from my blog & by taking a gander at my social media profiles, that I love pizza. All kinds. 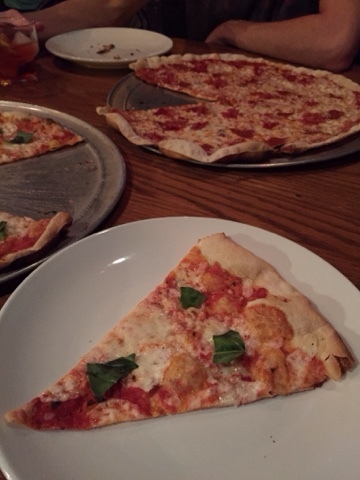 Thick crust, thin crust, homemade, delivery, fancy, plain...you name it. With the exception of maybe those 99 cent frozen concoctions, I've very rarely met a pizza I wouldn't eat at least a slice or two of. Burn's pizza is so good, I would eat my weight in it. And I tried to do just that when we visited. Nestled in East Austin, down the quieter side of 6th street (with a parking lot! 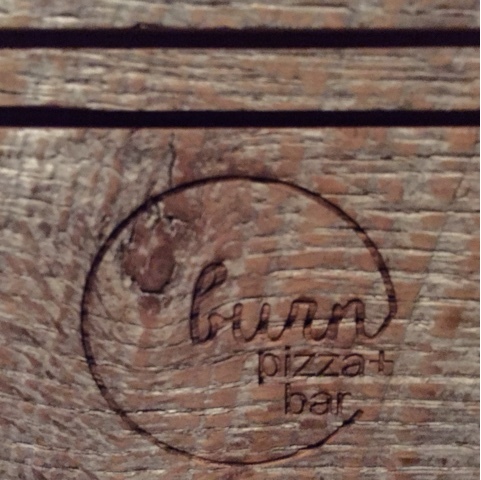 ), Burn is a comfortable little spot, specializing in roman-style pizza. What's roman style pizza you might ask? Super thin, crispy cracker-like crust with blistered edges. It's awesome & you should go get yourself some right now. These little bites of artichoke heart are so delicious. Crispy, rich & creamy, & they come in this fun cone/wooden holder combo. That's just cool. The crunch from the fried parsley & the cool lemon aioli add to the overall tastiness. 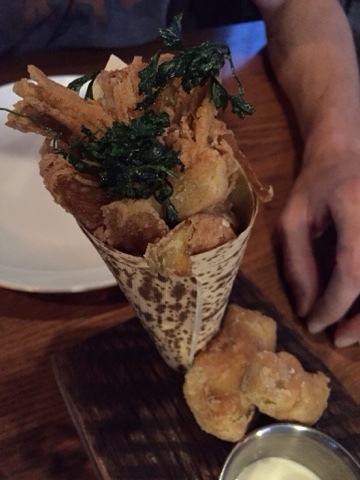 There are plenty of fried artichokes in this cone, but I could've easily eaten the entire thing by myself, they're that yummy. The pies were up next & did not disappoint. I wasn't sure what to expect from a roman-style pizza, but I was more than happy with what we were served. The crunch from the dough is really nice & refreshing & it allows the simple toppings to really shine. A word to the wise, the pizzas are large, but because they're so thin, you'll likely eat more than your usual number of slices. Order accordingly. 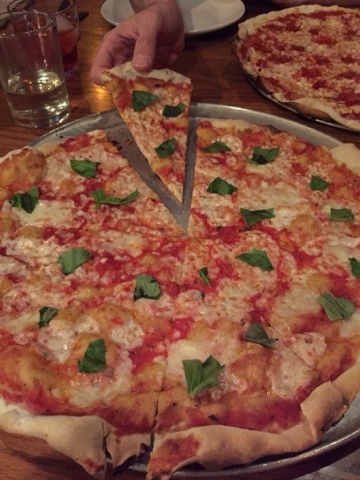 My choice was the Margherita. Topped with tomato, mozzarella & basil. Classic, fresh, delightful. A must-order in my opinion. Andrew ordered The Devil. This pie is topped with spicy salami, tomato & mozzarella. Equally enjoyable & a good choice for the carnivores. The salami has a good amount of spice, but it's not overwhelmingly hot. 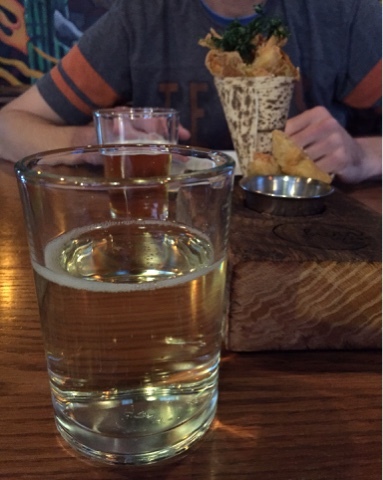 We were really pleased with our experience at Burn & I know we'll be back for lazy Saturdays & after-work eats soon. 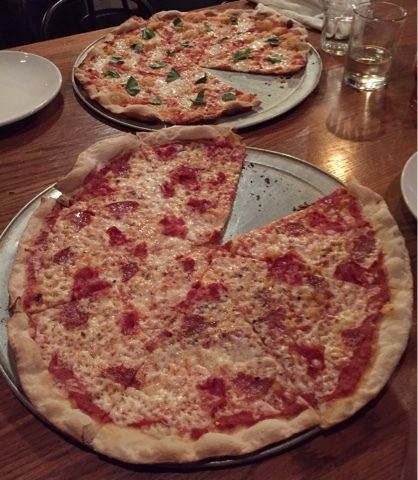 The restaurant has a fun neighborhood vibe to it & the pizza is so scrumptious, it's easily worth driving to downtown on the weekend.